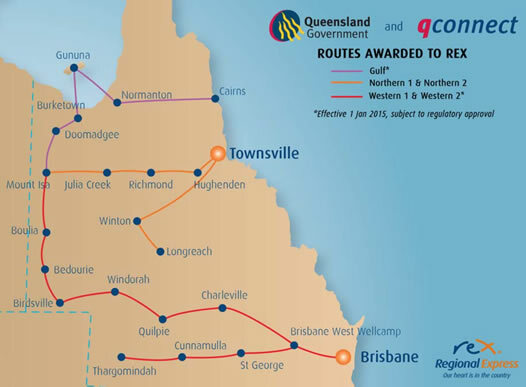 Regional Express (Rex) today announced that the Queensland State Government has awarded Rex all five regulated routes that it applied for, following a thorough open competitive tender evaluation process after tenders closed on 27 June 2014. 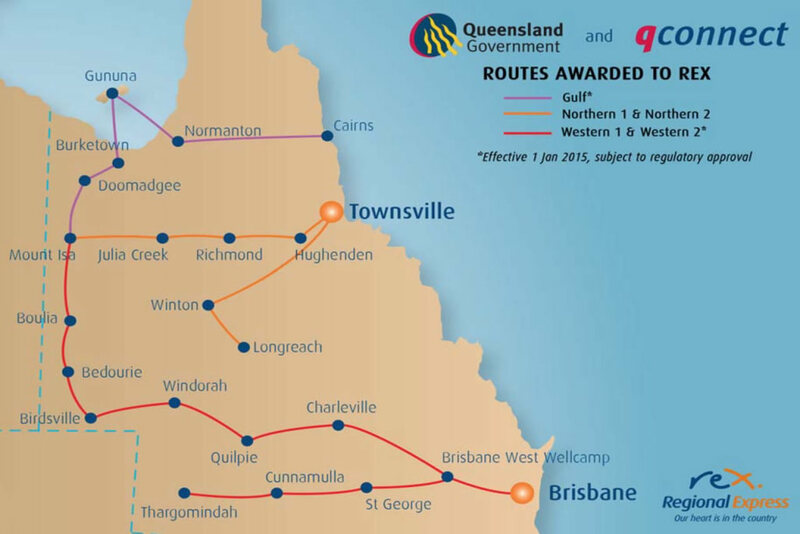 Gulf Route* from Cairns to Normanton to Gununa (Mornington Island) to Burketown to Doomadgee to Mount Isa and return. Western 2 Route* from Brisbane to Toowoomba (Brisbane West Wellcamp) to Charleville to Quilpie to Windorah to Birdsville to Bedourie to Boulia to Mount Isa and return. Rex currently holds the contracts for the Northern 1 and 2 Routes and will continue servicing these routes from 1 January 2015 at which time Rex will commence services to the 3 new routes *subject to regulatory approval (see attached). This will position Rex as one of the biggest regional carriers in Queensland and will increase Rex’s total number of destinations across Australia from 36 to 52. “We are also mindful of the potential loss of employment for many staff and agents of the incumbent and we are committed to hiring/keeping as many of the staff and agents as we can. We will be visiting all 16 new ports during the next two weeks where we will be hoping to have discussions with all affected parties.” Mr Lodge added. Regional Express (Rex) is Australia’s largest independent regional airline operating a fleet of more than 40 Saab 340 aircraft on some 1,300 weekly flights to 36 destinations throughout New South Wales, Victoria, Tasmania, South Australia and Queensland. 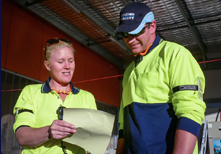 The Rex Group comprises Regional Express, air freight and charter operator Pel-Air Aviation and Dubbo-based regional airline Air Link, as well as the pilot academy Australian Airline Pilot Academy.